1st Time Driving Test Pass with Emilie Buggie. 1st Time Driving Test Pass with Emilie Buggie. Congratulations to Emilie for passing her driving test today, Weds 13th July 2016 at her first attempt with ONLY 3 minor driving faults. This was a great drive today and very well deserved. You demonstrated a very high level of safe driving and this was shown in your pass result. You kept those nerves under control, well done. Emilie completed one of our tailored Intensive Driving Courses and only started driving with us 2 weeks ago. She did extremely well to get to the required standard of safe driving within this time. Intensive Courses are by their own wording a little ‘intense’ but suit some people due to either work commitments or they just learn better with daily lessons over a short learning period. We aim to teach in 2 hour slots Mon to Fri with the weekends for the students to reinforce their learning. This can be done by reading up on the highway code and potentially private practice. This then allows the student to digest what they have learnt and come back on Monday with a new focus of the areas that they have performed well or the areas that they need work on. If you are interested in any one of our courses then please contact us on the ‘contact page’ and we will get back to you to discuss your options. 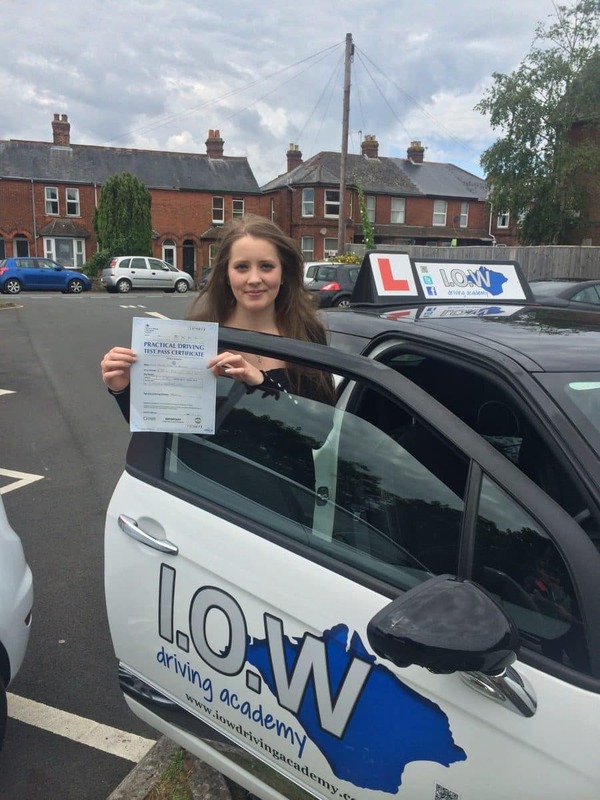 Here at the I.O.W Driving Academy, we are very proud of our success in teaching pupils to learn to drive whether it’s normal weekly lessons or Intensive courses. We do specialise in all areas of Learner Driver Training and our instructors are all experienced and fully qualified. We also offer refresher driver training for experienced drivers along with Advanced Driver Training and Eco Driving Techniques to reduce fuel consumption. For more information just drop us a line and we will get back to you. 1st Time Pass with Emilie Buggie.